Villa Granita is on the outskirts of the sleepy village of Velianitatika, surrounded by olive groves. Haroula's mum's Apartment has one of the best views of Gaios harbour. 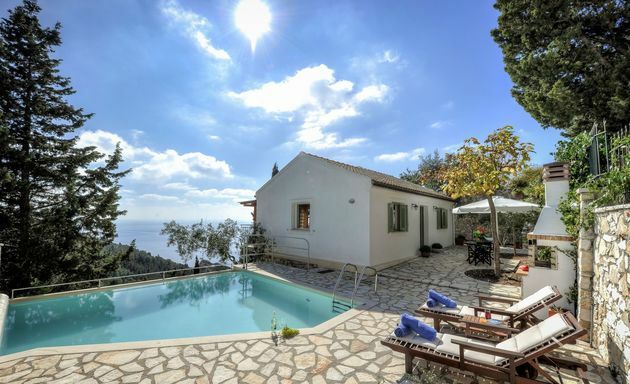 Villa Hebe is on Paxos' east coast, close to Mongonisi Bay, with views across the sea to the mountains of Greece. With total privacy, Hidden Cottage looks out over valleys of olive and cypress trees (no other house in sight) with glimpses of the sea on Paxos’ west coast. Jacaranda House is set back about 50 metres from the Gaios waterfront and is just a 5 minute walk from the main square of Gaios. 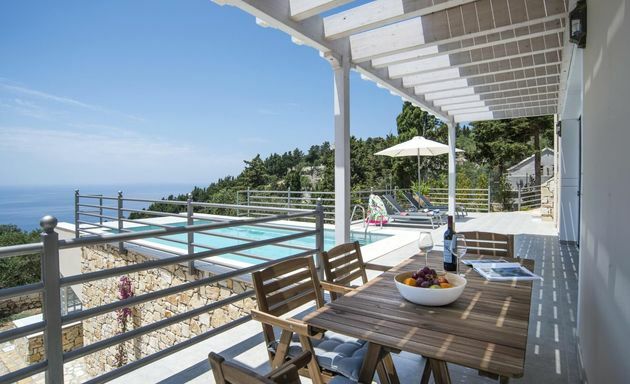 Villa Jasmine hides away amongst tall pine trees on Paxos' west coast with dramatic sea views. 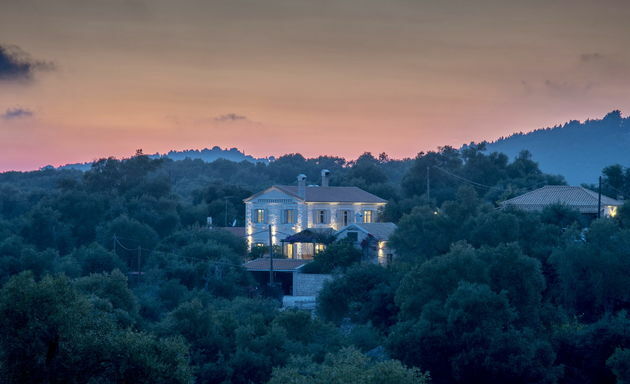 Villa Joanna is set amongst peaceful hillside olive groves just a 5 minute drive away from Loggos. Villa Jupiter has a magnificent hillside position overlooking Mogonisi Bay on the south east coast of Paxos. Villa Kalamboki is on the east coast of Mogonisi. The villa has total privacy and its large grounds lead down to flat bathing rocks and steps into the sea – just 100 metres away. Villa Kastanida is on a hillside terrace above a west coast valley of olive, pine and cypress trees. Surrounded by olive groves, close to the little village of Fontana, Kiparissa is a large property for family and friends wanting total privacy and peaceful seclusion. Villa Kipiadi has a private location amongst hillside olive groves just above Kipiadis beach on Paxos' east coast. 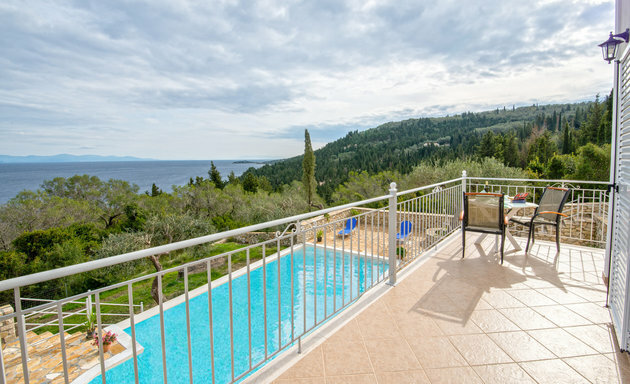 Villa Korpithi, on Paxos' east coast, has views across the sea to the Greek mainland and the south west coastline of Corfu. Lefteris’ House has countrified privacy and seclusion, just 2 kilometres inland from Gaios, and provides a peaceful escape. This is a modern villa, a few minutes’ walk away from the Loggos waterfront. 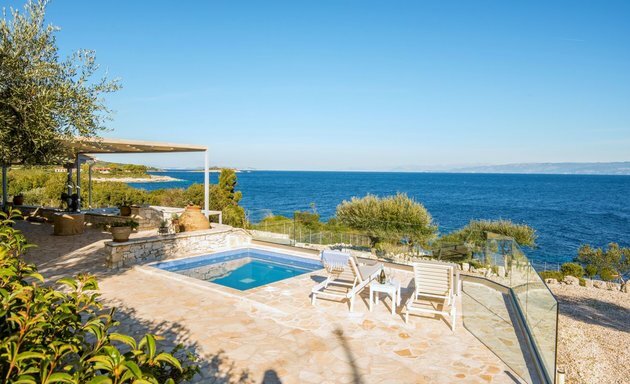 Villa Theo is a 4-minute walk to Loggos waterfront and 3 minutes to the beach below. 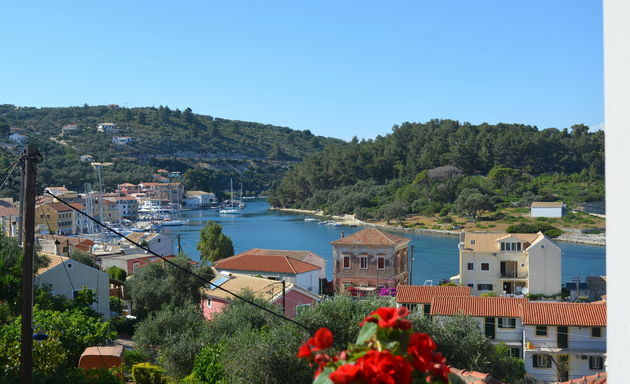 Villa Tria is a 4-minute walk to Loggos waterfront and 3 minutes to the beach below. 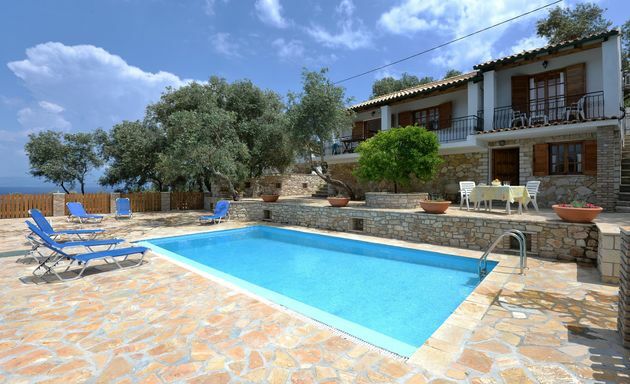 Lola’s House is within walking distance of Loggos waterfront and has a private swimming pool. 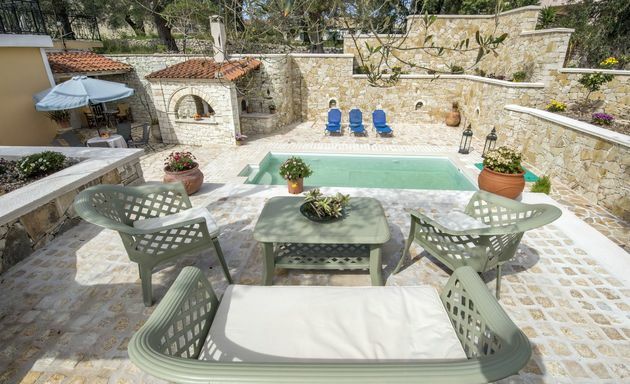 Villa Loula has total privacy just 200 metres away from Kamini beach on Paxos' east coast.